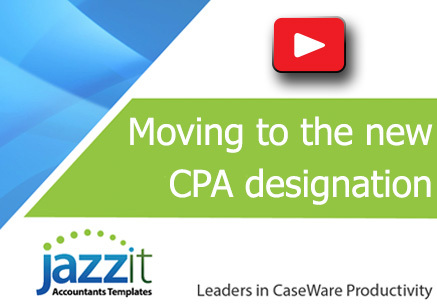 To move to the CPA designation, you need to make changes to 3 modules in the Resource Centre. 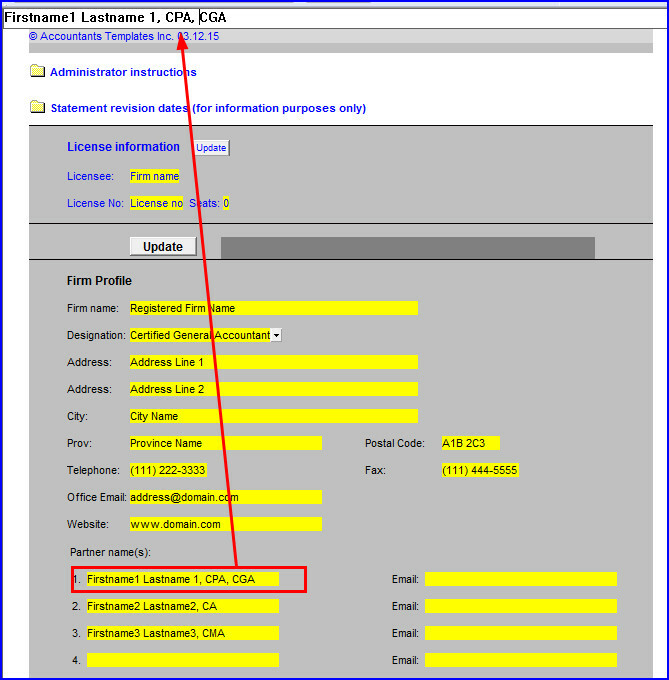 If you use our digital letterhead, you will have to modify the designation included in your firm’s details in the header of the Engagement report, which is located in Header 5. 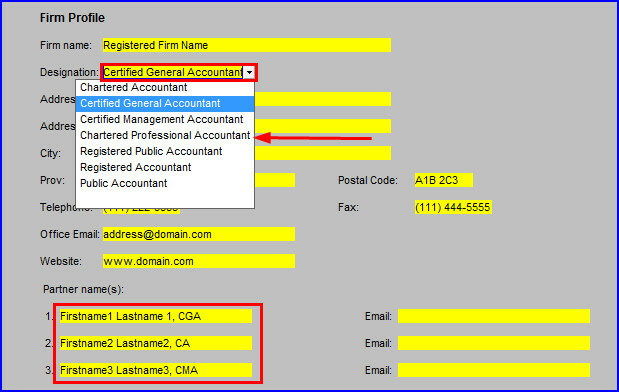 If you use our digital letterhead, you will have to modify the designation included in your firm’s details in the header of the first page, which is located in the Header on the first page section as indicated below. 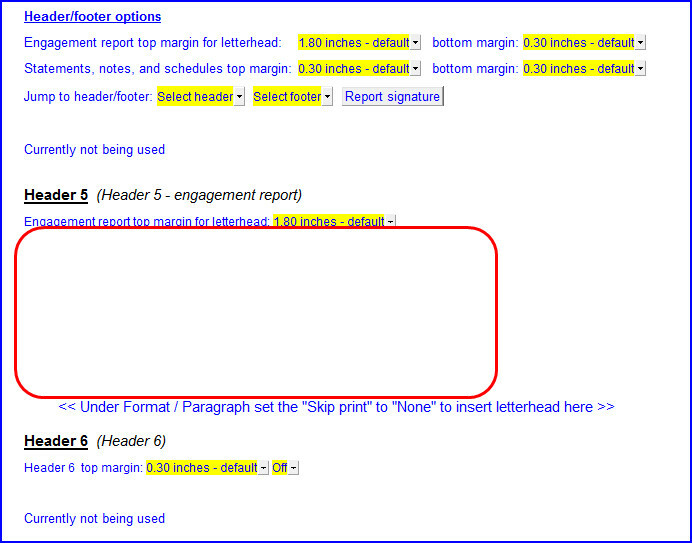 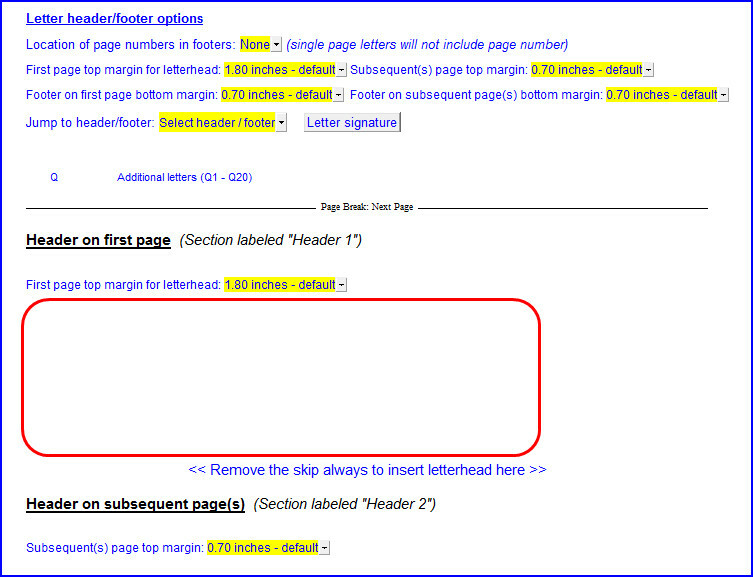 Reload the headers / footers to load the changes made to the HF module. 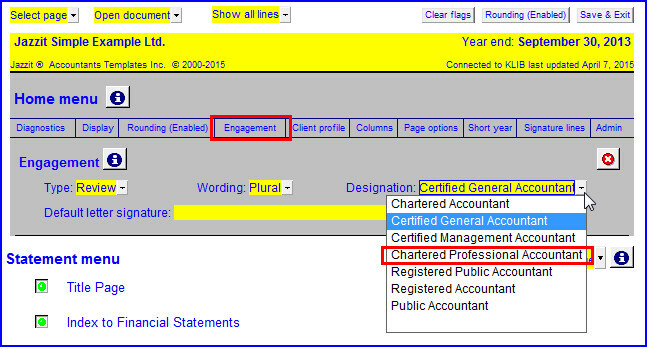 Click on Engagement and select Chartered Professional Accountant. 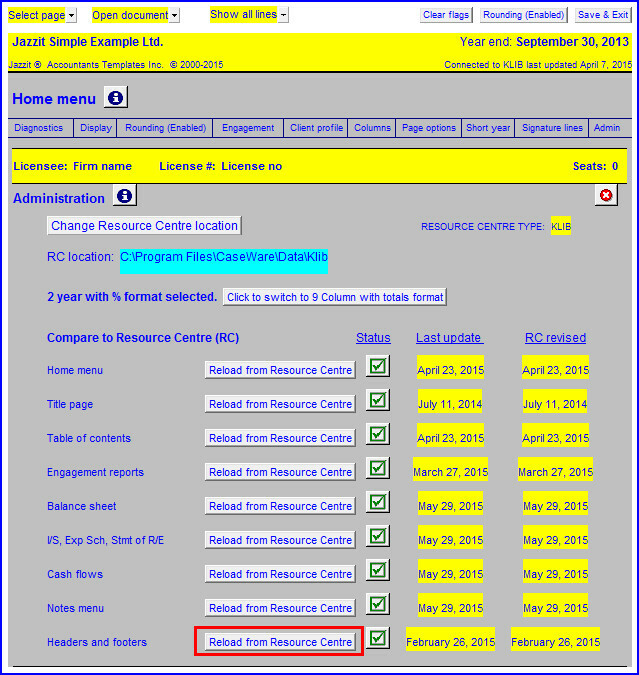 This selection is used in the Signature area of the Engagement Report. 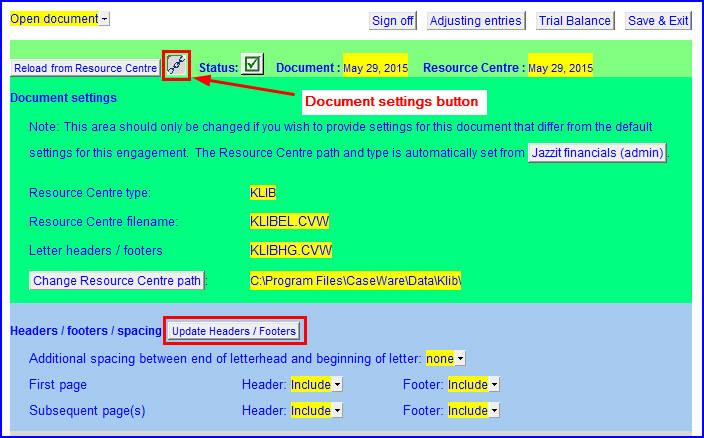 Open the letter, click on the Document Settings button to open this section and use the Update Headers / Footers button to load in the changes made in the HG module.